Massage with pure essential oil is a great way to bond with your baby as it offers a wonderful experience and special time communicate with your babies, and has lots of health benefits too. This blend is very helpful in promoting better sleep, relief colic, digestion and improve baby's skin conditions. 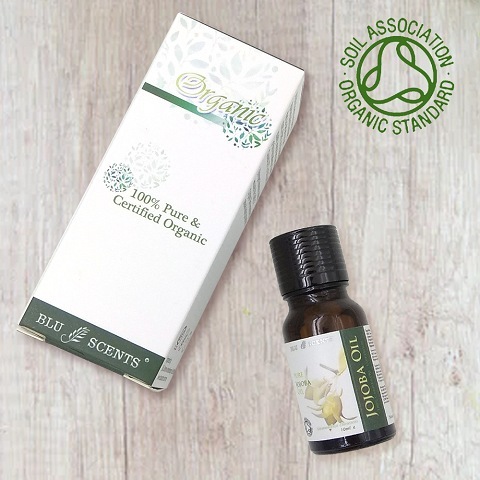 Blu Scents' Jojoba oil are cold-pressed, and are organically grown, not an oil but liquid wax, identical to protective wax produced in baby's own skin, which plays an important part of vernix that coats the skin of newborn babies. Hence, jojoba is compatible with baby's skin, when applied, it deeply moisturise, soften and soothe skin, protect skin and support baby's skin health. When blended with organic Lavender oil, it is indeed heavenly calming, perfect to drift baby to fall into sleep easy like 1,2,3. 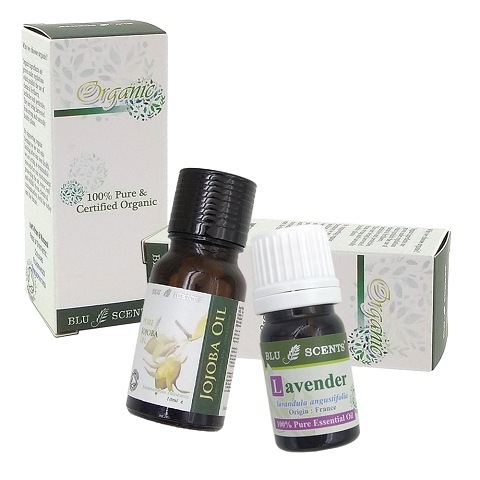 Organic Lavender pure essential oil's antiseptic and anti-inflammatory properties are excellent to relieve skin irritation such as dry, diaper rashes and insect bites too. 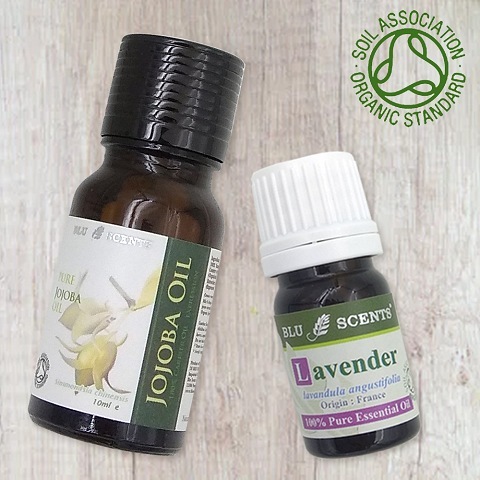 Blend 1 drop of Organic Lavender pure essential oil with 10 ml of Organic jojoba oil.